A home inspection involves a thorough examination of a house’s components and structures in order to note anything that needs repairs or improvements. Essentially, the purpose of the inspection is to point out all dysfunctional or unsafe areas of the house. After the inspection, you will receive a formal report of the findings which will outline recommendations and required improvements. Based on these recommendations, you and the sellers can then decide how to go about the repairs. 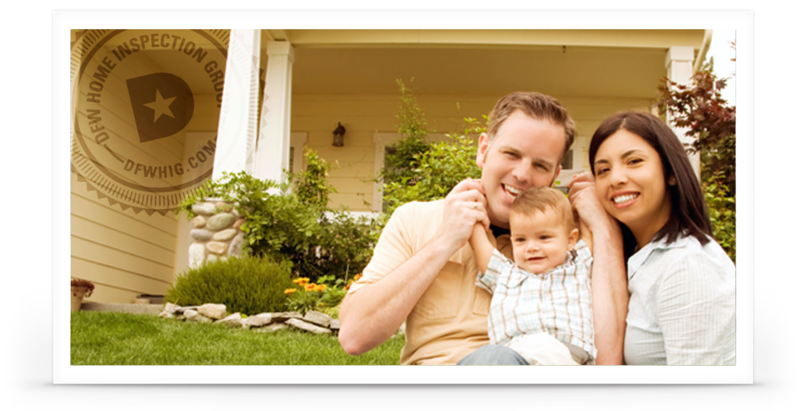 We at DFW Home Inspection Group are here to provide you with top-quality home inspection services. We will inspect each and every nook and cranny of your home, and you can rely on us to tell it like it is! Why is an inspection vital? You can never really tell what a house has been through until it is professionally inspected. Many issues that homes have are not cosmetic and can’t just be seen by looking closely, so a home inspection is the only way to ensure that your new home is truly in good condition. You should look for an unbiased, qualified, and experienced inspector to help protect your investment and home. If you're looking for a home inspector in Frisco, McKinney, Plano, or surrounding areas, you can count on DFW Home Inspection Group to assure quality work and a thorough inspection using the latest technology. A written report of findings will be given to you by the inspector upon completing the examination. If no major problems have been found, then you’ll have added peace of mind knowing that your home is safe and sound. However, if problems have been found, which is the most common scenario, you can address them with the sellers. Some recommendations may require a quick fix, and others may require a price adjustment. Either way, it is important to consider each and every recommendation provided by DFW Home Inspection Group to assure safe living conditions and a good investment. DFW Home Inspection Group performs thorough inspections in all areas of a house. We thoroughly check the condition of the heating and cooling systems, roof, walls, ceilings, doors, windows, electrical systems, interior plumbing, and insulation, just to name a few. All homes are inspected in accordance with the SOP’s established by the Texas Real Estate Commission (TREC).